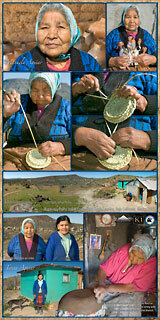 Manuela Aguiar makes coiled palm and juncus baskets, bark skirts, clay pottery, agave fiber net bags, cloth dolls, clay dolls, and agave fiber brushes. 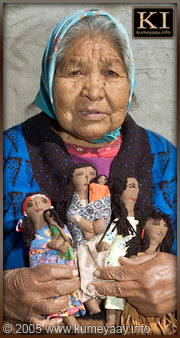 Manuela is a working female elder woman Native American Indian model actor available for TV, film, movies, video, trade show modeling and museum exhibition work on location. 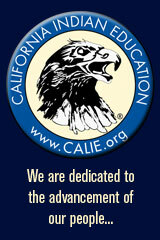 She currently does not have a SAG card, but she gets around nicely and is very sharp. 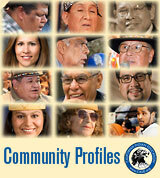 She speaks several California Native American Indian languages, including Kumeyaay, Paipai, Kiliwa, and Spanish. 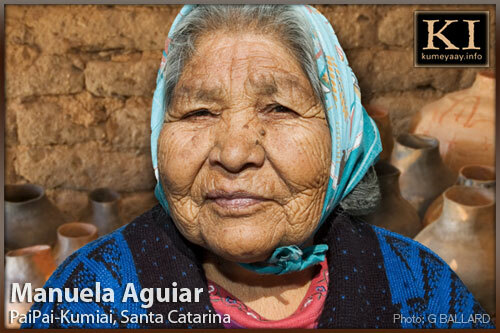 Manuela Aguiar is featured in many sections of Paul D. Campbell's book "Survival Skills of Native California" for her great knowledge of tradition medicine and foods. 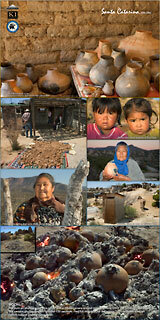 Manuela lives in the Kumeyaay-Paipai community of Santa Catarina, Baja California, Mexico. 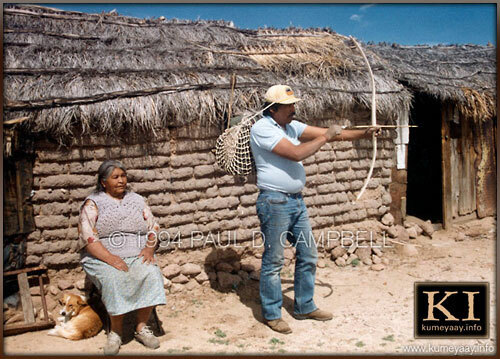 Photo by Paul D. Campbell of Manuela sitting outside of her adobe ranch house as her son, Raul Ray Sandoval, demonstrates one of his hand-made Kumeyaay bow and arrows sets, and agave fiber net bag. 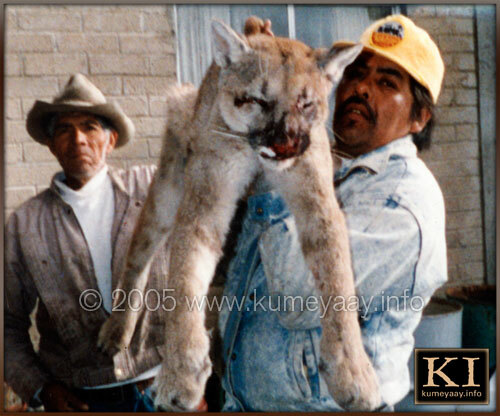 See Manuela's HISTORICAL FAMILY PICTURES, above Raul holds up a dead mountain lion he hunted down and killed, his Uncle Selso Aguiar pictured to left. 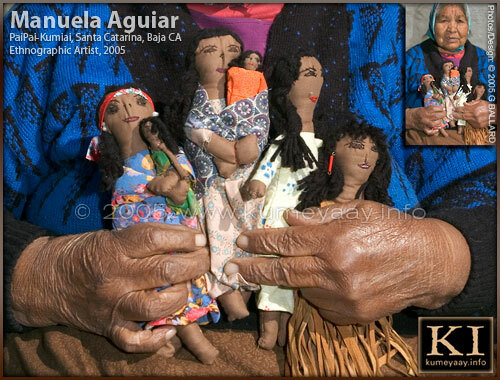 As a elder traditional Indian woman, Manuela lovingly holds a "family" of her dolls in her beautiful aged hands see HIGH-RESOLUTION PHOTO in our free on-line basket museum. 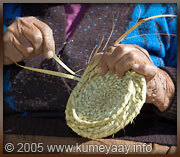 KUMEYAAY POTTERY ART OLLAS of California Yuman Indians features modern California Indian Kumeyaay Pai Pai pottery art.